This casual & relaxed fit ladies t-shirt from Bella + Canvas will be your new go-to. Layer it up or wear it on its own, versatility is everything when it comes to this trendy minimalist staple. This ultra comfy tee will add the perfect amount of simplicity and style to your current wardrobe collection. Bibbidi bobbidi best day ever! 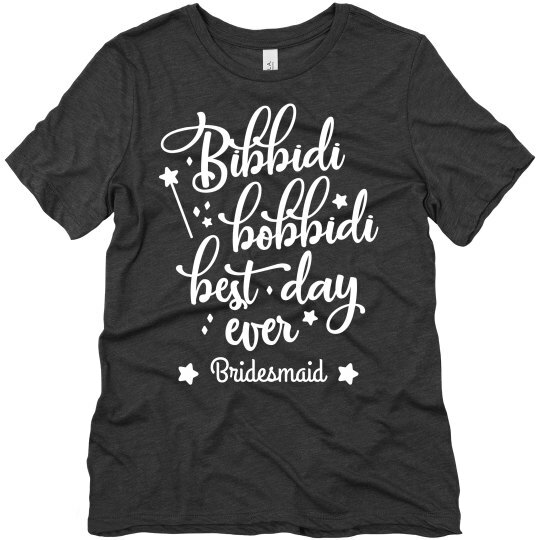 Customize a super special t-shirt for all of your besties to wear to your magical bachelorette bash! May all of your wishes come true during your fairytale weekend!